For this test I used a PA-200 with PAN-OS 8.0.3. NDP Monitoring icon on the Interface page with basic information. After a click on the icon this list of all neighbors for that interface appears. You can also filter the output, such as based on the MAC address. 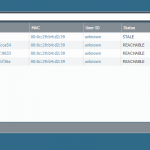 The NDP Monitoring is not that different from the already available neighbor cache, though it uses some other sources. 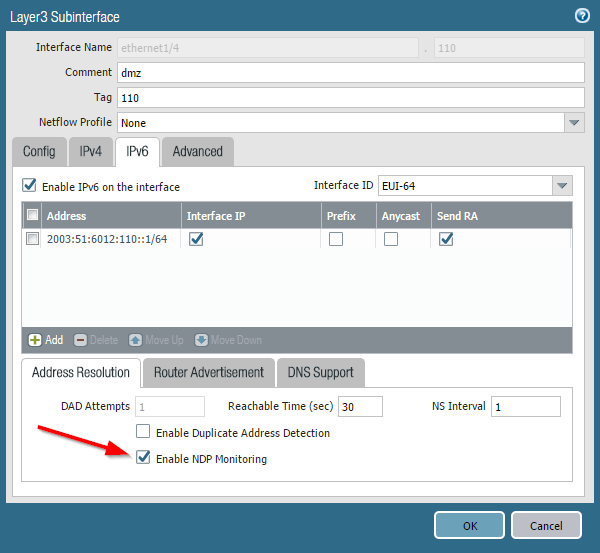 While the “neighbor cache” is an IPv6 standard functionality, this “NDP monitoring” captures neighbor advertisements and duplicate address detection (DAD) messages. Comparing both outputs on the CLI the NDP Monitoring has two more columns: “user id” and “last reported” (while it has a bad column size since the first two columns have no spacing when using subinterfaces). The following listing shows the normal neighbor cache (beginning at line 1), the new NDP monitoring output (line 52) and a filtered version of the NDP monitoring output based on a single MAC address (line 91). 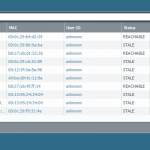 I am not quite sure why I have more entries within the neighbor cache compared to the NDP monitoring. And only two link-local fe80:: addresses in the NDP mon section while 13 (!) in the interface. Hm. 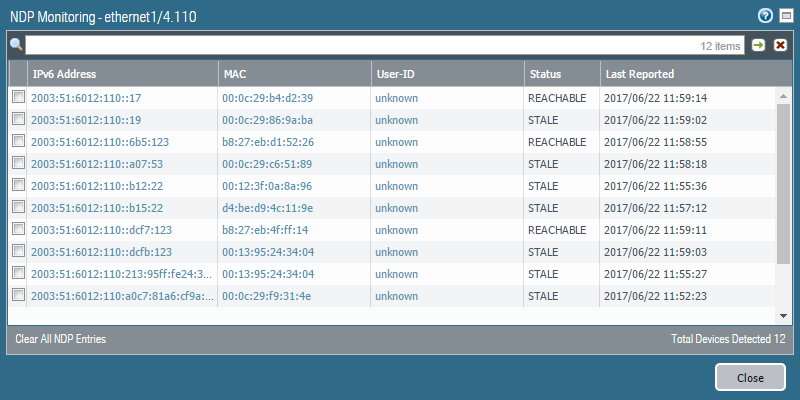 Maybe this is related to the fact that the NDP Monitor feature was not enabled since the start of the firewall. It is probably congruent with the “interface” output after the next reboot. It is not THE big deal but another step in the right direction: Admins can now track back IPv6 addresses to their MAC addresses similar to IPv4 addresses that were handed out by an DHCPv4 server. In conjunction with the listing of the User-IDs (which I am not using in my server-only environment ;() it gives the administrator a way to trace a security violation from an IPv6 address back to the originating user. And it’s all possible through the GUI. Great!